Determined not to be bad drug dealers – our drug of choice being mid-century furniture – Petra and I have let many beautiful pieces over the ten years go since we have worked in the field of pre-loved design classics. Not wanting to be slave to our profession but its master, we see ourselves as foster parents, here to love our mid-century antiques, live with them, polish them lovingly with Danish oil, then free them from the bubble wrap, allowing them to move on to bigger homes and brighter futures. You can’t have so much brown in the house. There’s only so many chairs a person can own. The kids would have wrecked them, we say. 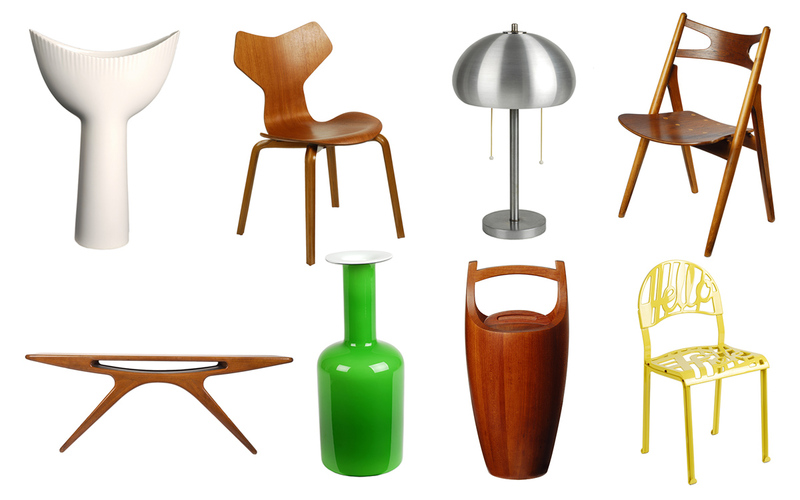 But oh how it hurts when the photos of Jens Quistgaard ice-buckets and Hans Wegner chairs-past pop up on the Macbook. Chairs we have loved and lost may as well be saying…“HA. I’m double the price now and look at the dowels, the legs, the curve of my back. You should never have let me go, you FOOOOL.” Here are a few things we once owned for posterity’s sake. We will own them again one day. We will, oh yes we will. Well, in the words of Tennyson ‘Tis better to have loved and lost Than never to have loved at all.’ As you say, the parental releasing, allows for the act of fostering to go on. Thrilled to see in the Geffrye Museum’s 1965 period room, a John Piper ‘Ile-d’Elle’ lithograph c.1958, on the wall; I am a proud foster parent of the same (print 11 of the edition of 75). I love your new blog – fun and information in one.